“I have seen things you people wouldn’t believe,” says replicant Roy Batty in Blade Runner. Imagine sitting in a large crypt with a dozen others when the lights go down and ghosts are floating over your head and around the room like the best home wall projectors do. 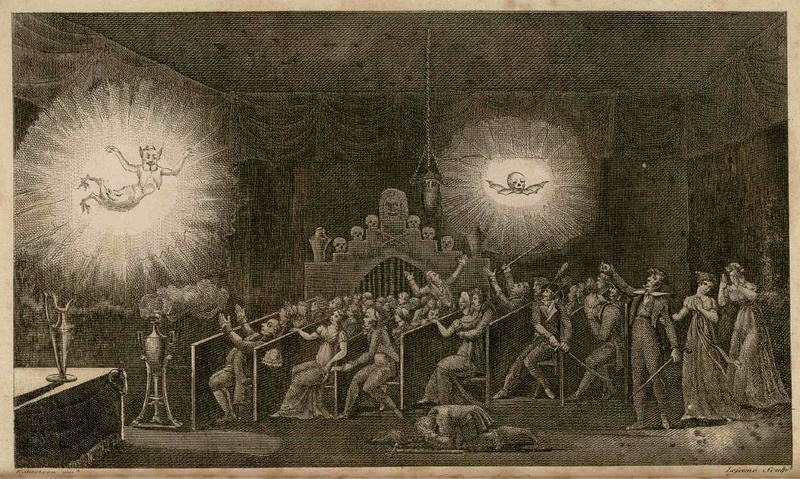 And imagine this is the fifteenth century, when a primitive projection system presented these apparitions. With all of the attention recently directed to the release of Interstellar in a variety of formats, including the massive 70mm IMAX, I started thinking about how projected images have tried to bombard our senses through the history of the medium. 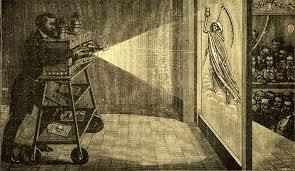 The projectors, known as Magic Lanterns, were also nicknamed “lantern of fear” and “lantern of fright” because of their ability to make the undead appear, disappear, change shapes and rise from the beyond, anticipating filmmaking’s zoom, dissolve and tracking shot techniques. One of the earliest actual movies from the pioneering Lumière Brothers was The Arrival of a Train at La Clotat . It has often been written that the sight of a train coming towards the camera, and therefore the audience, at the first public screening in December, 1895 caused people to scream and duck to avoid being hit by the locomotive. Some question this story but we can understand how it could have such an impact. The Lumières had been experimenting with a 3-D version (handheld Stereoscopes were quite popular), but it was not until 1935 that they re-filmed it successfully in three dimensions, and that most certainly startled the crowd. A patent for a widescreen process was filed in 1862, but it took until 1896 for the Biograph projector to introduce a picture four times larger than Edison’s screenings offered. 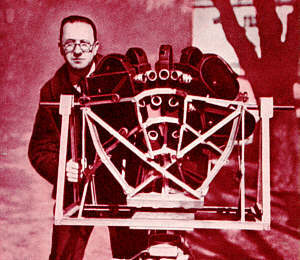 Many other experiments with film formats were to follow. Abel Gance was one of the first filmmakers to experiment with multiscreen projections for mass audiences, in his triptych finale for Napoleon in 1927. Called Polyvision, the process stunned audiences, and it did so again when Napoleon was restored and shown at the Avenue Theater in San Francisco in the late 1970s, followed by a world tour produced by Tom Luddy for American Zoetrope. I was lucky enough to have seen it four times with three gigantic screens spreading across the width of the theater: At the Avenue, accompanied by Robert Vaughn on the organ; outdoors in Telluride at 9000 feet, with 90-year-old director Gance watching out of his hotel window as Hank Troy accompanied it late into the increasingly cold night; at the San Francisco Symphony, with a score by Carmine Coppola; and the spectacular revival at the 2012 Oakland Paramount presented by the San Francisco Silent Film Festival, where the Oakland Symphony performed Carl Davis’ score. Each time was an exciting experience and I will not forget any of them. I grew up taking school field trips to Cinerama, with its curved three-screen projection and multiple channel stereo sound at the Orpheum in San Francisco (and later the Golden Gate Theatre). 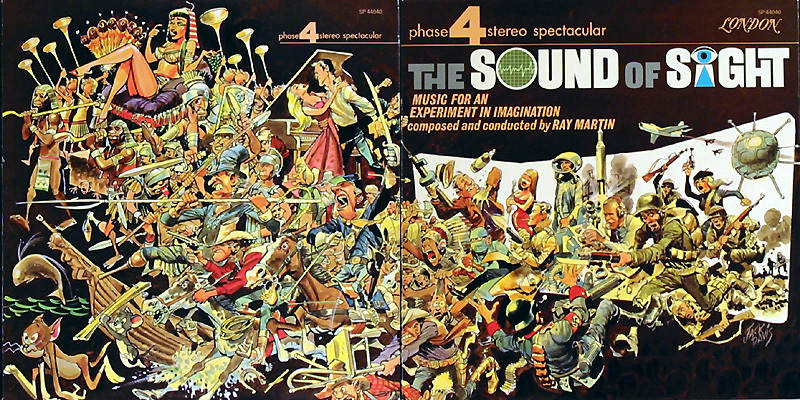 Clearly inspired by Gance, this immersive process started with This is Cinerama . 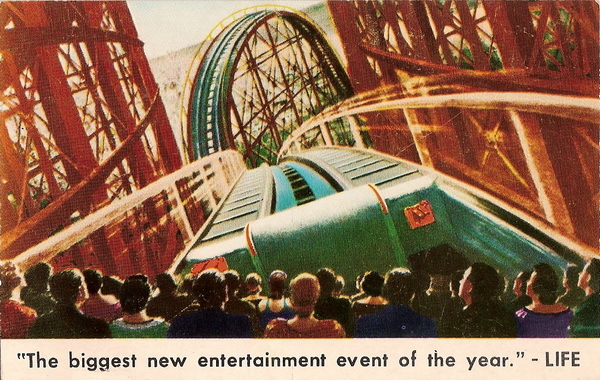 It was great fun, as the audience members might get seasick riding the rapids down the Grand Canyon, fear for their lives as a roller coaster rumbled along ups and downs on the rickety tracks of an old wooden structure, or experience the excitement of soaring above a variety of terrains as if in a glider near free fall. After five documentaries, only two narrative films were made in the three camera/screen format: The Wonderful World of the Brothers Grimm (1962), followed by the successful How the West Was Won (1962). Though the latter was a box office success, the seams between screens and difficult synchronous picture registration often resulted in images being out of alignment. This led to various single camera and projector processes being shown in a more dependable single very large screen format still called Cinerama in advertising. It’s a Mad, Mad, Mad, Mad World , and Grand Prix were among the films that played especially well this way. 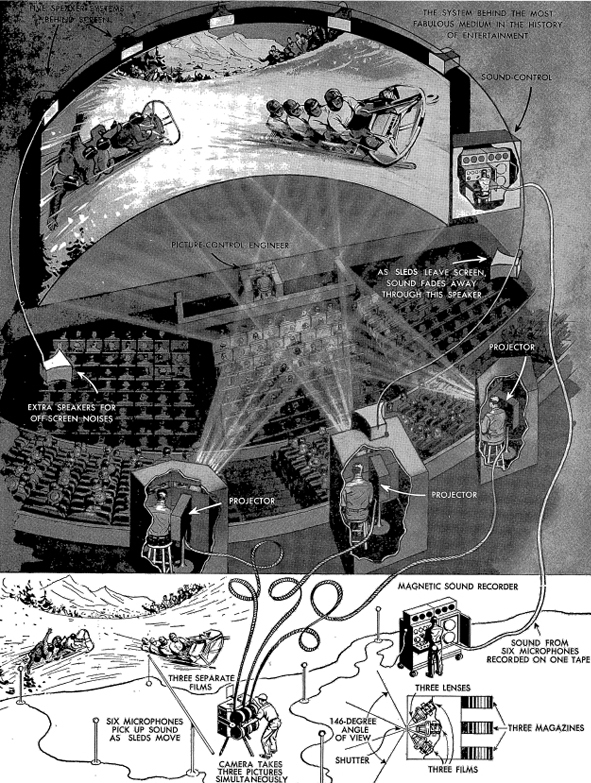 Michael Todd had started Cinerama, but before its first release he left to work on a system that would eliminate some of the flaws of using three projectors and three screens. The result was a single projector system with an immense screen called Todd-AO. Only two films truly used the format, Oklahoma and Around the World in 80 Days , both successful reserved seat attractions produced by Todd. But the process hardly made a difference to paying audiences. The motion picture industry was fighting the tremendous popularity of television. Widescreen presentations were a format the home tube could not replicate. The future for theaters was giant screens that filled our peripheral vision, accompanied by Stereophonic Sound that came at the audience from multiple speakers placed throughout the cinema. But neither the studios nor the theater owners wanted to spend the money required for Cinerama and Todd-AO. Audiences were impressed enough with various 35mm widescreen processes, predominantly standard widescreen where the width of the picture is almost twice as wide as the height and the anamorphic Cinemascope (a width 2.55 times height) which was introduced in 1953 with the releases of The Robe . 70mm upped the game and a number of blockbuster movies were released in that format. The truly large picture using a single projector resulted in stunning clarity and could be promoted as a special event. Movies shot in Todd-AO were generally released in 70mm, like Todd’s Around the World in 80 Days and The Alamo. Ben Hur , My Fair Lady , Lawrence of Arabia , West Side Story and Patton were true 70mm productions while others were blown up to 70mm from 35mm. 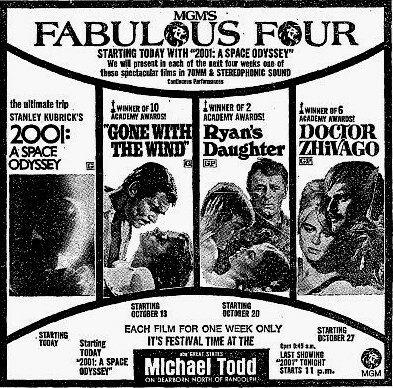 To take advantage of the specialness of the format, someone at MGM got the wise idea to create a 70mm mini festival and offer a package called “MGM’s Fabulous Four.“ When I worked for United Artists Theatres, we could depend on this as a successful filler between regular bookings. Ironically Dr. Zhivago and Ryan’s Daughter were blow-ups from widescreen 35mm, and the 1939 Gone With The Wind was a blow-up from the old square format, resulting in the heads often being cut off to create a widescreen appearance. Only 2001 was truly a 70mm film. Next week in Part Two: We explore some adventurous and surprising directions for enjoying a movie. You may also be interested in Interstellar in Five Dimensions: A Trip through the Many Formats of Christopher Nolan’s Epic and which appeared in an earlier edition of EatDrinkFilms. For those of you wanting to know even more, there are some articles that give greater detail and more illustrations. While reading any of these articles, you will enjoy Ray Martin’s homage to big screen movies on The Sounds of Sight. Marilyn defining Wiiiiide Screen on a 24 sheet billboard. A very informative illustrated lecture by David Bordwell on Cinemascope. The Wide Screen Museum covers many giant movie formats and is loads of fun. Read Part Two and Part Three of this series. 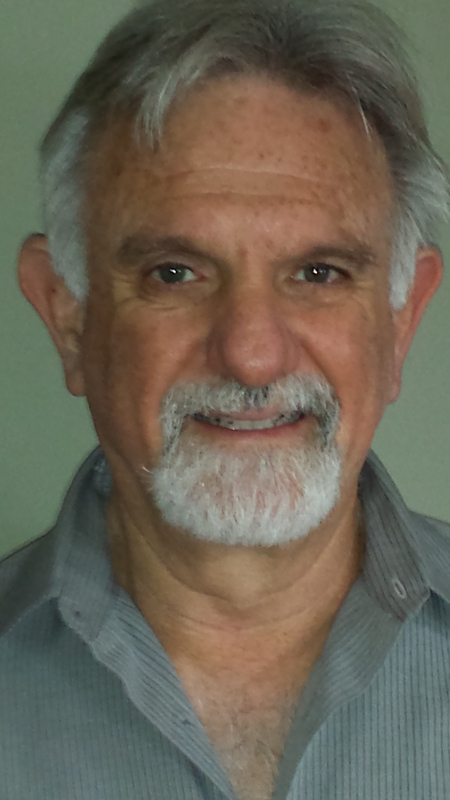 Gary Meyer co-founded Landmark Theatres in 1975, the first national arthouse chain in the U.S. focused on creative marketing strategies to build loyal audiences for non-Hollywood fare. After selling Landmark, he consulted on projects for Sundance Cinemas and the Brooklyn Academy of Music’s Rose Cinemas, created the Dockers Classically Independent Film Festival and Tube Film Festival for the X Games, and resurrected the 1926 Balboa Theatre in San Francisco. Meyer joined the Telluride Film Festival in 1998, becoming a Festival Co-Director in 2007. Meyer also founded the online magazine, EatDrinkFilms.com in 2014, with the EatDrinkFilms Festival to tour nationally in 2015. This entry was posted in Films and tagged 70mm, Biograph projector, Cinerama, Gary Meyer, Interstellar, Lumiere, Todd A-O, wide-screen. Bookmark the permalink.